On January 25th, a new Catholic children’s book series will be discussed on the CatholicTV talk show This is the Day. This new book series includes a book of children’s prayers, “A Bible For Little Ones”, and books about Saint John Vianney, and Saint Bernadette of Lourdes. Tony Ryan will be interviewed on “This is the Day”. 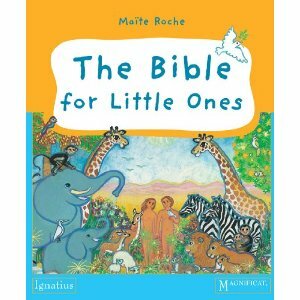 Tony works for Ignatius Press, who has collaborated with Magnificat to produce the new series of children’s books. Magnificat has earned a very high reputation in the USA since they launched their incredibly popular monthly worship aid. Thanks, that just added some great new reads to my list!